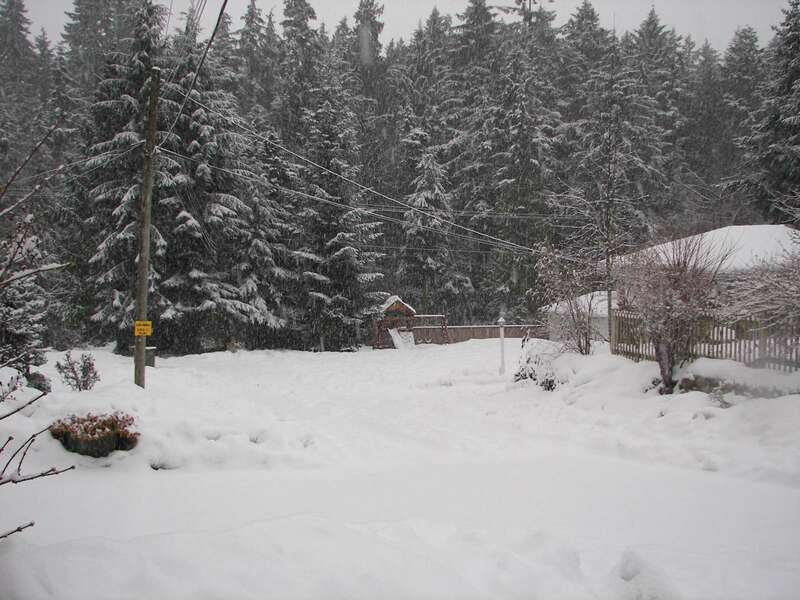 The snow is dumping down here in Vancouver again. The weather report is predicting another 5-10cm to fall today. 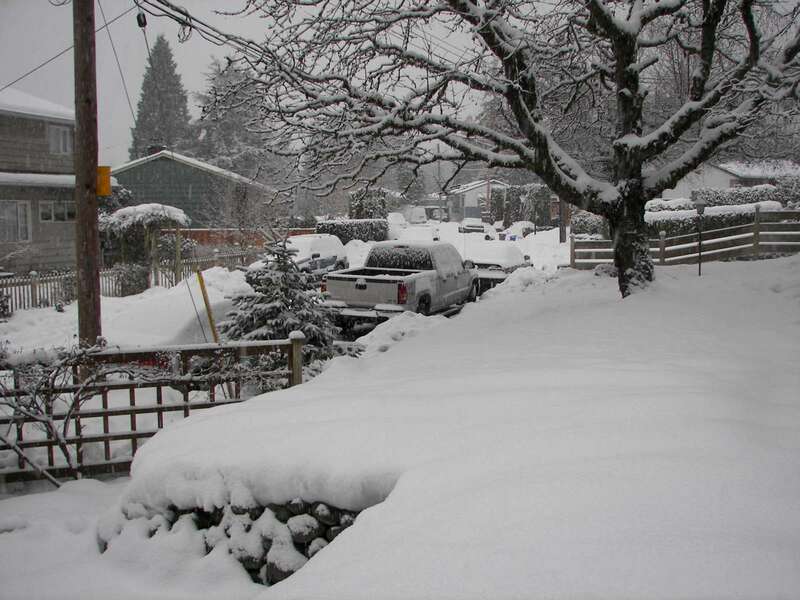 We have probably received something like 70-80cm of snow this winter and things are still a mess here in Vancouver. Anywhere else in Canada this would be a minor annoyance and life would move on. Not here on the “wet coast” where even a small amount of snow brings the city to a stand still. There are people in our neighborhood who haven’t been able to drive their car since before Christmas. We’re lucky that everyone can walk to the local grocery store, though. 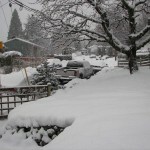 Eileen hasn’t been able to get her Beetle out of the alley behind the house due to the snow pileup. I’ve managed to get my Altima out a few times but I’m scraping snow with the bottom of the car every time. I have had to dig my tires out of the snow more times than I care to count. This is seriously frustrating. Just yesterday Eileen and I spent several hours clearing snow from the alley with the hope of being able to get her Beetle out by Monday. I cleared the sidewalks as well, although as of this morning you wouldn’t even know it. I don’t even a proper snow shovel as every time it snows the stores are completely sold out and I forget (every year) to buy one in the summer. Yesterday I managed to buy the very last bag of ice-melt (some fancy chemical that works like the winter road salt we used in Michigan growing up, but is supposed to be more environmentally friendly). Rona had received three pallets of the stuff and it was sold out in an hour. It was a frenzy very reminiscent of the Black Friday shopping incidents at a certain Walmart. The last time we had snow fall like this was on December 26th, and most of it is still on the ground and streets. I’m sure everyone who owns a plowing service is making serious money right now. I’d pay a heck of a lot of money to have our alley plowed, if only I could actually get someone on the phone. The city appears to be waiting for Spring rather than remove the snow, as none of the side streets have been plowed. The major roads get plowed a day or two after a big snow fall, but even “plowed” is a bit of an exaggeration. The comical thing is that the city will ticket you for parking too far from the curb (as if I could find the curb underneath all the snow), or not clearing your sidewalk by 10am. Ha ha ha, I’m laughing so hard I’m crying. 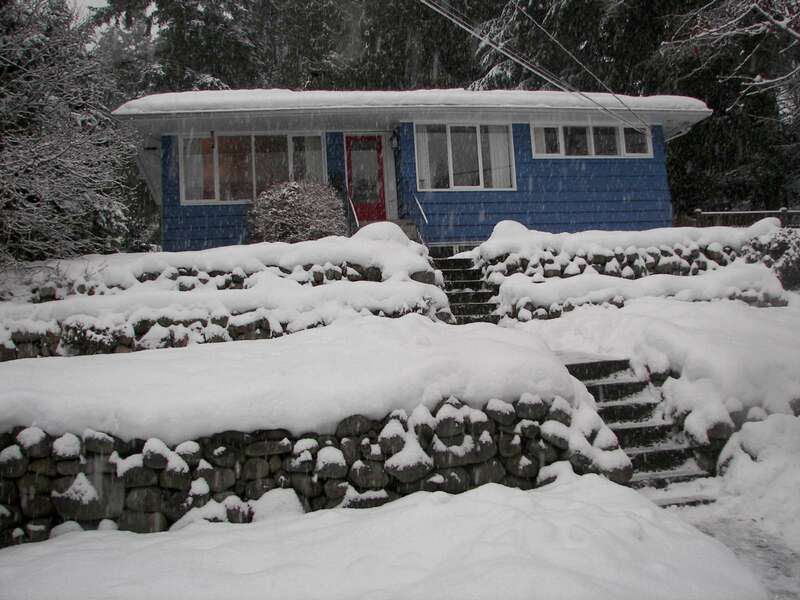 Our neighbor reminded me that in the 1940s it used to snow like this all the time in Vancouver. I’m sure it was a heck of a lot of fun then, but now it is just wrong. I’m wondering if I can hook the propane barbecue to the front of my car and drive around just melting the snow in front of me.